We had the chance to meet Louis Garneau during the launch of our new ‘Altitude Sports X Garneau’ collection. The world-renowned athlete was kind enough to answer a few questions about his company, the oldest cycling brand in North America. Altitude Sports: How did you transition from cyclist to businessman? Louis Garneau: I started racing when I was 12 and stopped around 25, after the Olympics. I always liked making things. I studied art, that’s what I liked best in school. I was interested in painting, sculpture, wood furniture making, and antiques. In 1982 my girlfriend and I wanted to get married, so I wanted something more stable than cycling or art. That’s when I decided to make cycling clothes. Monique was great at sewing, and I knew about the technical needs of cyclists. Thanks to my art classes, I could draw. We started with shorts. We bought Lycra from a company that sold fabric in Quebec, and we got the chamois leather from Canadian Tire. That was our first cycling short! That’s how it all started. People liked the product, it created demand. 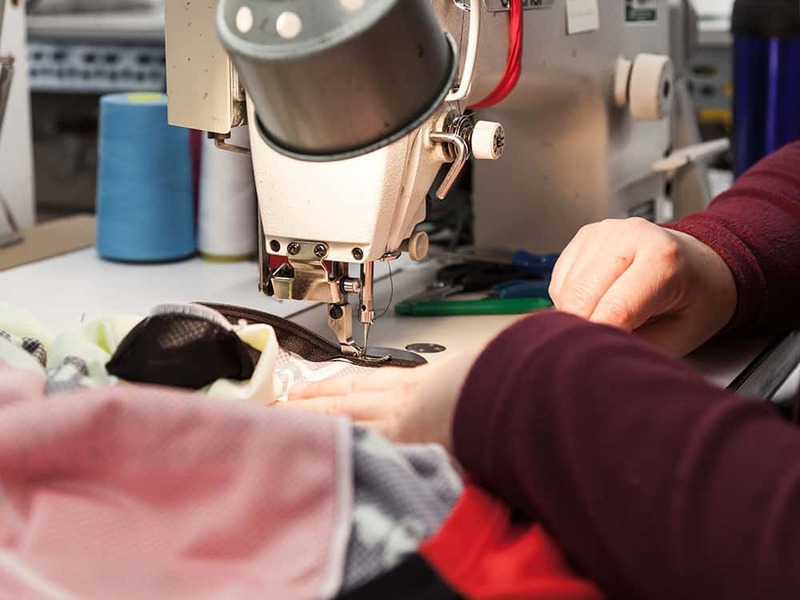 We were the first Canadian company to make cycling clothes. At the 1984 Olympics, I finished 33rd out of 163. Of course, I was disappointed, but I knew I wanted to do other things. I had to decide fast if I wanted to be a pro cyclist or keep going in clothing manufacturing. The company already had some success, we’d even registered it in 1983. We decided to go all in, telling ourselves that if we sold 12 jerseys and 12 pairs of shorts per year we’d make it. We worked like crazy, but we did it. Altitude Sports: Where was your workshop back then? Louis Garneau: In the beginning, the workshop was in my dad’s garage. You could say we started without big ambitions, without knowing what it would become. The factory was built in 1987. We were the first in North America to do sublimation, an Italian technology. We were the first to import it for our printing and it was considered innovative. To counter the economic downturn of the times, I decided to try something new: bike helmets. We were the first in Canada to make helmets. Every time I saw a new opportunity, I was the first to jump into the manufacturing. After clothing and helmets, we began conceiving cyclists’ accessories. Garneau was the first to offer a ‘total cycling solution’, all products under one brand. At first, people weren’t sure: they figured the products wouldn’t be very good quality because we were making too many things. At the start of the 2000’s, we launched our bicycles, after clothing, shoes, helmets and accessories. My boys had started to race, and I told myself I couldn’t buy their bikes from our competition, so we went into kids’ bikes. Racing bikes followed. In 1987, we opened a factory in the US, then another in Mexico. We have a China bureau that makes high-quality products. We are in on another big project which should start the beginning of July. Altitude Sports: The first Garneau items were shorts, but I read that your first order was for custom products, correct? Louis Garneau: Yes, we started custom products in 1983. A client wanted them. We didn’t just start making custom items out of the blue. We’d already been doing it for cycling, and in winter, we collaborated with Pierre Harvey to make custom cross-country ski gear, and Gaetan Boucher for speedskating. Today we’ve got back into speedskating equipment, notably with the MIPS helmet. Garneau has been a big innovator for sports equipment, not just for cycling. We created the Boa snowshoeing adjustment system. We were also the first to develop the X-comfort shoe, with an extendable section to counter numbness on long cycling trips. Altitude Sports: What have you been able to apply from your racing days to your business? Louis Garneau: In cycling and business, my trademark has always been, ‘Never give up.’ My years as a racing cyclist taught me to be tenacious, headstrong, and to persevere. Altitude Sports: You had no business experience when you started. How was it throwing yourself into entrepreneurship with Garneau? Louis Garneau: Hard at first. With the help of our accountant, we established a cost price point. We were lucky to be first in, where we could get a margin on general fees, sales fees and development. I won’t lie, it was tough, especially during the recession. Let’s just say that when I studied art and was cycling competitively, I learned the hard way what recession means. I even had to sell off part of the company to stay afloat and be able to reinvest. Altitude Sports: Garneau is a Quebec brand. Do you still manufacture in Quebec? Louis Garneau: Sure thing. We still have a workshop in Saint Augustin. We have a substantial investment in Quebec-based production. The custom division is entirely made in Quebec. Some high-end triathlon items are also made here. The biggest challenge with the Quebec-based workshop is a lot of tailors are nearing retirement. The next generation is more prevalent in Mexico. Altitude Sports: Are you still involved in product conception? Louis Garneau: Absolutely. I’m equally involved in the concept and quality control. I like trying out our new products and testing our new clothing concepts. I’m always thinking of new ways to improve our line. I work with all my product heads, we don’t launch anything unless I approve it. The whole creative process is what I like most. My career goal was to be a painter and sculptor, and we’re doing a similar thing at Garneau. Altitude Sports: Do you have a favourite in your collection? Louis Garneau: It varies. I love the clothes, I also love the helmets from the last 20 years. This year my passion is the shoes, especially the X-comfort. With this optimal adjustment technology, we’re bringing a value to the industry that everyone can benefit from. There’s lots of work to do around the feet; after all, you channel all your body power through them. In cycling, that’s your principal point of contact with your bike. Feet are complex in terms of the number of bones they contain. We developed the X-comfort extension zone with Antoine Duchesne and Hugo Houle, two racers who were in the Tour de France. When you’re on a bike six hours a day for three weeks, the pressure points can get uncomfortable in a hurry. Altitude Sports: Where did the inspiration for the ‘Dream Factory’ come from? Louis Garneau: From art. The consumer never had the option to create their own bike. There are 250 brands of bicycles on the North American market. With the Dream Factory, we wanted people to be able to build and create their dream bike. It’s an extraordinary option that Garneau offers to their clients. Altitude Sports: Altitude Sports is 100% online. 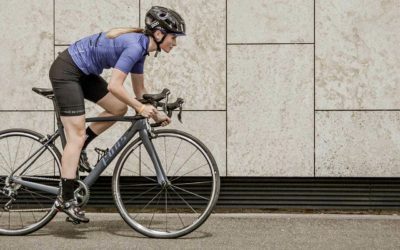 What are your thoughts about selling bicycle products online? Louis Garneau: Right now, online selling is creating a big revolution in the global world of retail boutiques. Before this, boutiques had control of their territory. A store would sell the bike, the clothes, equipment and accessories. Now, all cycling peripherals are sold online. For the actual bike, I believe consumers can still visit merchants. They go in for adjustments, but also to build a relationship with specialists and to get advice. Selling bikes online seems a bit complicated, but it’s obvious that’s where the industry is headed. In fact, specialized boutiques are losing ground in accessory sales. It’s a huge challenge and they’re going to have to adapt. Altitude Sports: You’ve been in the business for a few years. 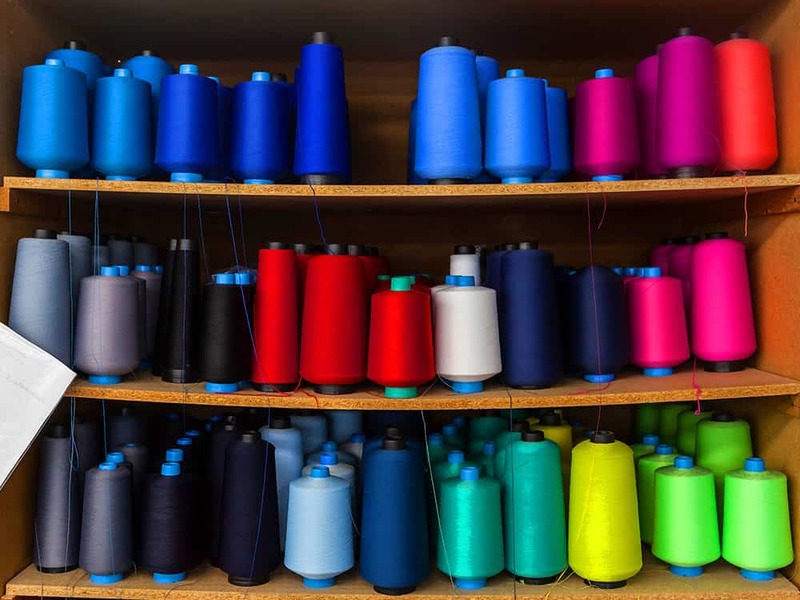 Do you sew new trends emerging? Louis Garneau: Yes, especially in terms of lifestyle cycling. 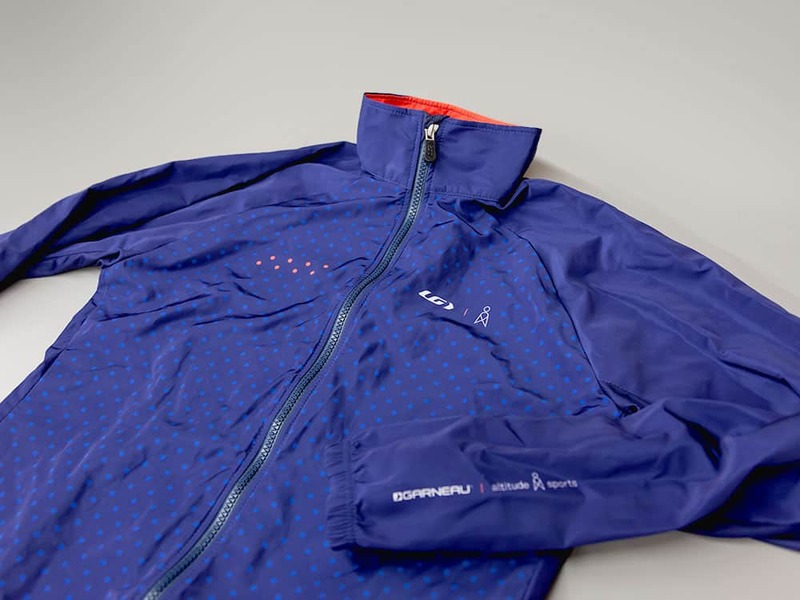 At Garneau, we want to become the Lululemon of cycling. At first, Lululemon sold yoga clothes. They built a whole lifestyle around their products with an emphasis on health and well-being, and today clients shop there for things and don’t even practice yoga. With Garneau’s new generation, we’re aspiring to create a lifestyle with not as much emphasis on bike culture specifically, but which reunites people around bicycles. We want to angle on the social aspect of the sport and everything surrounding it, whether its mountain bikes, gravel bikes, or road racing. We want to create more urban clothing, like stretch jeans you could wear to the office or on a bike ride. 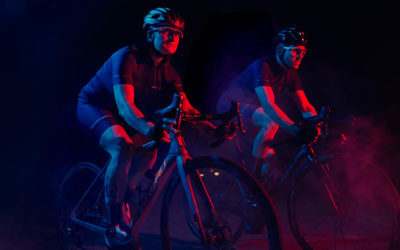 Altitude Sports: Garneau is celebrating 35 years in business. How do you feel about that? Louis Garneau: Time flies! I raced for 13 years, so the company has taken up most of my life. I’m trying to pass the torch to my kids. Giving them control of the company and doing it in a harmonious way is one of the biggest challenges in my life now. Altitude Sports: Do you think you’ll retire one day, or will you always stay involved? Louis Garneau: I have too much fun working on product development with the younger generation, but there are some things I’d love to get away from. Bank meetings, for example. In the future, I’ll work less and do more cycling and art. Altitude Sports: What’s the future of Garneau? Louis Garneau: The youth, the new generation. They’ll be able to bring the company further than me because they’re not the founders. They’ve got a specialized business education, their will is strong, my kids are ambitious. Altitude Sports: What achievement are you most proud of? Louis Garneau: The fact that I have founded an international company makes me proud. Personally, I’m very proud of my family. I’ve been with my wife since I was 17 and she 15. We’ve had three kids, and that’s my biggest personal achievement.